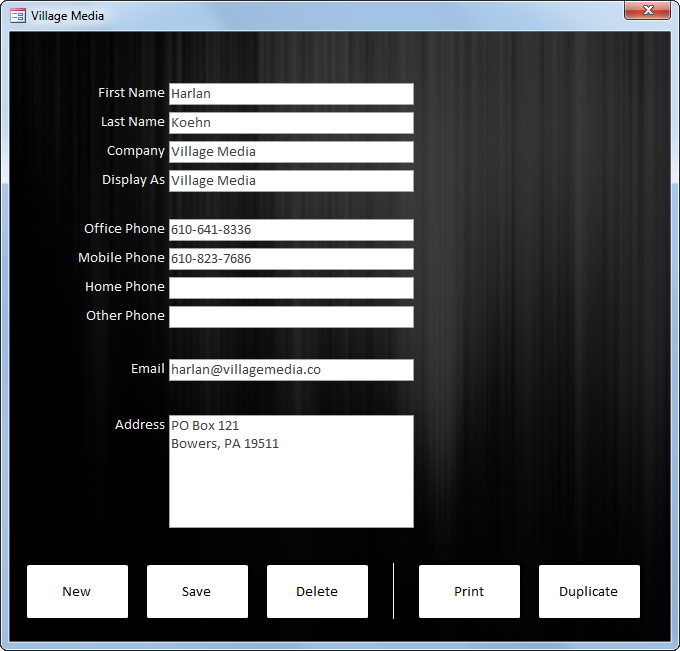 We specialize in programming database applications. We use a wide range of technologies depending on the requirements of the project. The types of applications we design and develop can be used for order entry, inventory management, timeclock, equipment sales, work orders, and contact management. We primarily use SQL Server but have experience with other database technologies.